With over a decade now having passed since Tornado first moved under its own power, it’s undeniably a bit disappointing that no other new build locomotive has followed since then. This is the year, however, when that will surely change. Indeed, we are entering a three year period in which we can reasonably hope to see six new builds finished – a rate of completion that will surely be the peak level of output from the new build projects. This article is therefore an effort to stand back and undertake something of a ‘state of the nation’ review as we enter this new phase. Before we get to individual projects, let’s consider the state of the new build sub-sector within steam preservation in the UK. The first, inescapable, observation must be that it has been very prone to slippage in timescales. Perhaps in this it is no different to the wider preservation movement – consider, for instance, that there are still restorations underway on numerous ex-Barry locomotives, three decades after the last of them left the scrapyard. Nonetheless, the completion dates given below nearly all represent delays relative to what was hoped for. A few years ago, several projects were stating 2018 as a hoped-for completion date, and even 2017 (when it was hoped The Unknown Warrior might first move, with full completion to follow in time for the centenary of the Armistice). But this is not new: back in 2002, Lady of Legend was slated for completion in 2006, which would have beaten Tornado to the punch had it been achieved. A few key factors can be identified in explaining both the slippages in many projects’ timescales, and the undoubted successes that the best of them have achieved. The first is the ‘cottage industry’ nature of the heritage railway engineering supply chain, in Bob Meanley’s famous phrase from his Flying Scotsman report of 2012. This has seen many projects subject to slow delivery of components, and in Q+As with this site, numerous groups have identified quality as an occasional problem as well. While the engineering achievements of the preservation movement are remarkable, even leaving aside the completion of new locomotives from scratch, the sector’s small scale and fragmented nature is a structural factor that every project must contend with. A model of heavy duty engineering centres for main line fleets has established itself over the last decade or so, much more clearly delineated from work on engines for preserved lines than in the past (Tyseley, Carnforth and LNWR at Crewe most notably have developed successful and highly focused business models, including Train Operating Company status; the A1 Trust’s long-term plans amount to something similar, bar becoming a TOC as things stand). This generally involves engineering work on a ‘home’ fleet owned (or at least curated long-term) by the same organisation as owns the works, to the exclusion of other work. New build projects are therefore outside the orbits of these works (indeed, LNWR made a point of ceasing work on boilers for two new builds, although it must be recognised that Tyseley is still undertaking some wider contract work), and instead work much more closely with smaller scale suppliers, and the on-site works of preserved lines – many of them excellent, but more along the ‘cottage industry’ lines Bob Meanley identified. However, relationships with host railways can be highly valuable assets to new build projects. These vary in form: some locomotives are avowedly projects of a railway (notably the Brighton Atlantic and 2MT tank engine are Bluebell Railway projects), while in other cases the railway’s engineering facilities are contractors to the project. Llangollen’s engineering department has a strong line in this work, although the Patriot project has of course recently parted company with the works amid what appears to be a great deal of acrimony. Elsewhere, a passing comment in a recent news round-up from the 82045 project indicates that its relationship with the Severn Valley Railway was not as fruitful and supportive in the past as it has now become – though a veil is wisely drawn over the details. 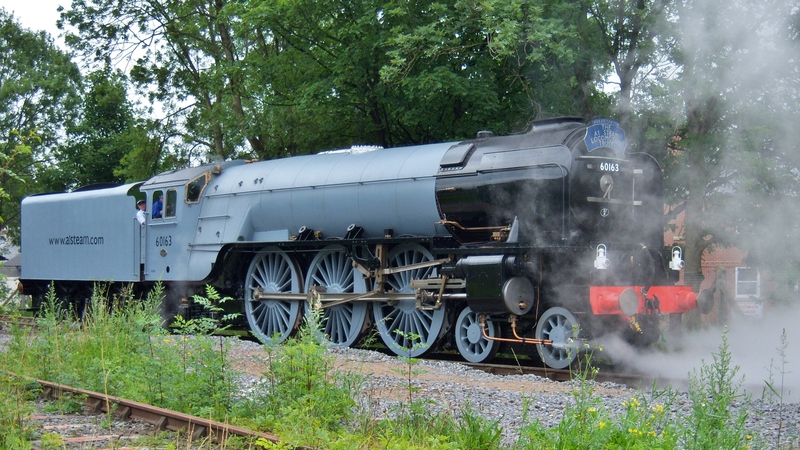 While this sort of relationship is not the only route to completing a new build steam locomotive, only Tornado and the G5 tank engine stand as clear-cut examples of projects that have reached completion, or most of the way there, outside of a larger, pre-existing heritage railway engineering set-up of some kind. A further factor in the success of new builds, like any other engineering project, is project management. This is relatively abstract compared to the other considerations discussed here, and much less readily visible from outside a project. But just as different groups have enjoyed different levels of success with fundraising (and even, at times, with engineering quality), it is inevitable that there will be variations between groups in terms of project management as well. Supplier relationships, fundraising and quality assurance are all liable to be undermined by below-par project management – although it’s a non-new build example, the Flying Scotsman report provides a salutary lesson in how inadequate project management can cause things to go wrong, with basic errors such as a failure to scope and plan a project at the outset creating problems that can dog it for years. But the biggie is fundraising, and it has been left until last deliberately. While volunteers are a vital element of any of these projects, heavy duty engineering must for the most part be carried out professionally. The labour, materials and infrastructure required to construct a steam locomotive cost money, and the simple truth is that the projects that are nearing completion are mostly turning over hundreds of thousands of pounds per year, and those that are progressing slowly are turning over tens of thousands or even less. In some cases, particularly for a few projects still in their early stages and envisaging completion in the 2030s, this is to some extent deliberate; but among other groups, there are clearly substantial disparities in fundraising abilities which will prove telling in the pace at which they are able to complete their locomotives. 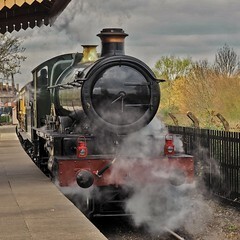 Groups whose projects still have some distance to run may also have to contend with a changing fundraising environment, as a time will come when the generation that remembers steam in service on Britain’s railway, and is currently well placed to fund heritage railway projects as well as contribute their time, is no longer available as a mainstay of the heritage movement. This will have implications throughout steam preservation, but projects that are still fundraising in ten or twenty years’ time will most definitely need to address themselves to new audiences. There’s no reason why this can’t be done successfully, but it will be a new challenge. The implications in terms of available volunteer labour may be even more marked, and require even higher levels of fundraising to compensate by purchasing labour that might previously have been available from volunteers. The imminent arrival into the UK’s steam fleet of a small number of new locomotives is an exciting prospect, and while it will not transform steam preservation as such, it will certainly add an interesting new variation to the range of motive power that can be enjoyed by enthusiasts. In a few years’ time, the era when new build locomotives are novelty items or somehow exceptional will be well and truly over. Considering how hopeless the prospects seemed half a century ago of ever seeing locomotives such as an A1, Patriot or Brighton Atlantic again, this is a remarkable triumph for both railway preservation and (mostly) British engineering. those that do not represent a meaningful or realistic attempt to construct a working steam locomotive. The Unknown Warrior, with boiler trial fitted. Photo by the LMS Patriot Project. A minor caveat here must be that realistically it will not be surprising to see one or more of these projects encounter delays of some sort. But notwithstanding any unwelcome intervention by Sod’s Law, there are clear reasons to expect these six projects to be completed on roughly the timescales outlined here. The Saint’s launch weekend is scheduled for April 5th-7th, and it has already been rolled out in black livery for photographers. Presumably it will be in steam in April, therefore – although the publicity for the ‘launch weekend’ does not explicitly commit to this, and further delay is not impossible even at this late stage (the photography event of last November was originally scheduled for spring 2017). The Grange’s return to Llangollen, with its boiler fitted, is planned for April, with the expectation of being able to light the fire ‘pretty much straight away’. It is due to remain at Llangollen for the first year, essentially for snagging, after which there will be the possibility of running on other lines. A further £40,000 needs to be raised to finish the job, and an appeal will follow to raise £125,000 to build a new tender (Betton Grange will borrow one for its initial running). The group has also mooted a new-build themed Steam, Steel and Stars gala for 2020… although the pool of available guests might not extend much beyond Lady of Legend, Tornado, the GWR Railmotor and 9351 at that point, and maybe The Unknown Warrior depending on the exact timing. A decent potential line-up for sure, but by 2021 or 2022, the gathering could be rather more substantial. 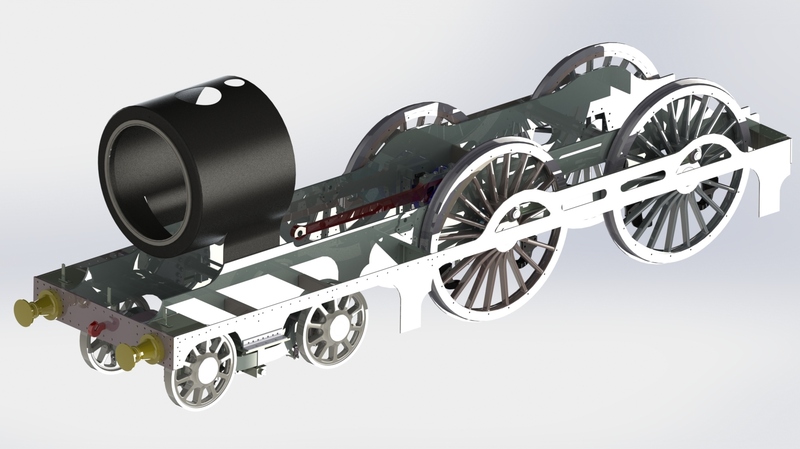 The Patriot project is currently tendering for a contractor to complete work on the locomotive’s chassis and, separately, the tender chassis. Finishing the locomotive in-house is also an option under consideration, and 2020 is the date currently being discussed for completion – not unreasonably, one would hope, given the extent of work completed so far. Fundraising for 2007 has now passed the half-way point, with £2.5 million donated, £3.1 million pledged and just over £2 million spent. The pace at which a rolling chassis has been assembled is undeniably impressive. There seems no reason to feel pessimistic about Prince of Wales hitting its target competion date of 2021. The target completion date for the Brighton Atlantic is 2020, but the project told this site in May last year that is looking ‘a bit tight’. It is also subject to funding, of which more is still required. Even so, the greater part of the work is clearly done, and completion is surely in sight. The path to completion is also now apparent for the class 3 tank: its chassis will go into the workshop at Bridgnorth soon (if it hasn’t already – the next of the group’s reliably regular news updates will answer that, and certainly it has been placed on SVR rails for the first time), and assembly of the boiler and firebox will commence as soon as the boiler for Stanier mogul 42968 is finished (it can be tracked on this page). The boiler work is due to take 15-18 months, and the locomotive is planned to steam six months after that, subject to progress on the chassis and therefore of course to funding. Those timescales take us to 2021 for the engine to move under its own power. The Bloomer at Tyseley in 2014. Adapted from a photo by Hugh Llewellyn under licence CC BY-SA 2.0 and available for reuse under the same. These projects have been grouped together on the basis that it would be very surprising if a finished locomotive does not emerge from them, albeit the timescales involved are in some cases hard to predict. Of course, nothing is guaranteed, but projects have only been included in this bracket where there is specific reason to be confident, such as the track record of the group, or the existence of large parts of the fabric of the locomotive already. It’s not impossible that one of these might sneak out before 2022, though it would be a surprise. Indeed, quite a lot of projects are giving completion dates around 2022/3, just beyond the ‘next three years’ bracket used above – in some cases, this feels a bit optimistic, but we’ll see! The share prospectus, issued in August 2018, gave ‘late 2020’ as the target date for completion, subject to funds – and it offers a good overview of the project so far, in fact. However, Steam Railway magazine recently reported the target date 2022, which seems more likely than next year. As this is an in-house project at Tyseley, it does not have a separate group issuing news, maintaining a website and raising funds, so the lack of news to report may simply be a lack of published news rather than a lack of progress. That said, a fundraising campaign previously mooted in 2017 appears not to have commenced and the latest photos in the New Build Flickr pool (September 2018) do not show any obvious progress. The not inconsiderable matter of establishing itself as a TOC might just have been a priority at Tyseley however, so the considerable progress on the build in years past plus the undoubted expertise and resources available at Tyseley still make it look like an assured prospect to run at some point. There’s definitely momentum on the County 4-6-0 at the moment, after a somewhat difficult period. HBSS are working in the boiler, and with the project built around donor components a finished locomotive will surely emerge. The team offers 2022/3 as a completion date. The use of major donor components is what secures the Night Owl a place in the ‘when not if’ list, but progress does seem pretty slow. The locomotive is not yet wheeled, and a decision remains to be taken about whether to use the GWR Standard No.1 boiler from donor 2861, or build a new No.7 boiler from scratch. But providing fundraising efforts can be stepped up, completion in the 2020s doesn’t seem fanciful. The track record of the A1 Trust is enough to put the V4 firmly in the ‘when not if’ list. While fundraising has yet to start officially, some components have already been sourced and a dedicated website has been soft launched. These locomotives are to follow the V4, in this order. The A1 Trust is undoubtedly capable of delivering, and something significant would have to change in the future for that to cease being the case. They’re listed separately from the V4 purely because they are a good degree further in the future. This project is clearly well supported by the Bluebell Railway, and with a donor locomotive as the basis for the project, its completion seems assured – indeed, completion around 2022/3 doesn’t seem unrealistic, at least from the outside. This is one of the projects that focuses on the engineering more than on communicating – which is perfectly fine, if it gets the job done – so who knows, maybe it could be ready on a similar timescale to the 3MT…? This is a very new project, so its rate of progress hard to assess; but the existence of so many donor parts makes it seem unlikely that it won’t be completed. The latest word on a target completion date is 2033. Image by the Claud Hamilton group. This next group of projects contains those that might well produce a locomotive, but overall it’s a bit hard to say with as much confidence as for the projects above. The distinction between the two groups has been made on quite a strict basis, so there are plenty of promising projects in this section and it seems certain that at least some of these engines will indeed steam. But most projects without major components already in existence, where the timescales to completion look lengthy, which are not based at an established engineering works or preserved railway, and/or that are being undertaken by groups without already successful track records, are placed here. In many cases, if there is a threat to the successful completion of the project, it is most likely the (currently) slow pace of fundraising. Each of these projects, considered individually, has a meaningful chance of succeeding – but it might perhaps be a surprise if they all make it across the finishing line. There’s clearly momentum behind this project now, which represents a strong turnaround for a project that has, in the past, had to consider at a members’ meeting whether to continue at all. It needs to up the pace of the fundraising (it’s firmly in the ‘five figure turnover’ group, according to accounts filed with the Charity Commission), but it would be more surprising to see it fail than succeed. The aim is for the Victorian 4-4-0 to be completed after 2023, with fundraising to ramp up from 2020, as the wheelsets and boiler are needed. The group’s strong relationship with the GCR(N) should help keep moving it forward. The F5 is undoubtedly moving forward… but slowly. The frames were due for assembly at Tyseley in 2017 but are still yet to be completed. 2026-8 is the latest completion estimate from this group, which gives it a maximum of nine years if met. It’s certainly possible to build a locomotive in that timeframe, particularly given that some components already exist, but it’s arguably still a bit bullish. The project needs to increase its fundraising success significantly to achieve a working locomotive on this timescale – but if it can do so, the job looks very feasible. This is another project with definite forward momentum, but not necessarily a great deal of pace. Its Q+A with this site makes clear the building blocks are all there, though, and some hefty technical research is clearly being undertaken (see news updates passim). There’s no reason to have expected any progress or news on this recently, as the stated intention was always to turn to it after The Unknown Warrior is completed. Presumably the approach taken to completing the Patriot will inform how work is undertaken on the second locomotive. This group has had more sticking power than a couple of other aspiring projects that emerged at around the same time and which quickly proved to be nothing more than websites and words. Its current focus on CAD work is fair enough, but a major question remains when the fundraising and construction work will ramp up – one hopes Mark Allatt’s offer of assistance has been taken up. Construction of the bogey is to be the first major milestone. Curiously, the Registered Charity number on the group’s website is actually for the Whitwell and Reepham Railway, whose entire turnover is comparable to that of the Clan project; its dedicated fund for the Claud had income of less than £1500 in the most recent year for which accounts are available on the Charity Commission website (though this doesn’t preclude the charity spending some of its unrestricted funds on the project, which would not be obvious in the published accounts – but still would not get the project to the level of funding it will at some point need). Some might say this is a restoration job, but it’s included on this site on the basis that it’s a similar engineering challenge to some of the GWR re-engineering projects – plus, you can’t currently ride behind, or even look at, an unrebuilt Merchant Navy, so when the day comes that you can, something will undeniably have been re-created that doesn’t exist today. There are clear signs of momentum on this engine, with work underway to secure a new base for the project; as with many projects in this group it’s just the pace that isn’t clear. This site has long had a policy of not covering projects that do not clearly represent a serious and meaningful effort to construct a working locomotive. As part of this ‘review’, and even though we are reluctant to reach negative verdicts on the efforts of any group, we have concluded that a few more initiatives can fairly be judged to be in this category. Before we turn to which projects these are, a word on what this might imply. It’s not for New Build Steam to tell readers what to do with their money – people may donate to whatever charitable cause they wish, whether the donation is wise or not. But we would observe that there are ethical questions to be asked of people raising funds for projects which they cannot show have any meaningful prospect of success, and it is perfectly reasonable for readers to ask those questions before deciding whether to part with their cash. No components have been produced for the ‘Doncaster’ P2 since the frames were cut in 2014. The group’s focus has recently seemed to be on creating a Railway Heritage Centre in Doncaster, to open in 2020, which could act as a home for the build – but this appears to be part of a plan for a new Doncaster Museum at Waterdale, being driven by the local council, not the P2 group. The recent launch of the ‘Denison Club‘ represents a more serious-looking attempt at fundraising, but the recent crowdfunding effort was a total failure. There is no sign of progress on the engineering front, and while this could just be poor communication rather than an actual lack of progress, there seems no reason to believe that a streamlined P2 will become a reality without major changes to the project. New Build Steam will resume coverage of the project if and when such changes have demonstrably been made. The last update on the Facebook site for this project was over a year ago, with every indication that both funds and manpower were in critically short supply. It doesn’t appear ever to have been formally constituted as a company or society – which isn’t a killer blow, but it would be unusual for a project of this sort to succeed without some formal governance. Again, perhaps this is just a matter of non-communication, and the wheels are in fact still turning, but in the absence of any firm indication of that we will not be covering it further. Which is a shame, as with 82045, 84030 and Hengist, it would have ‘completed the set’ of BR Standards. 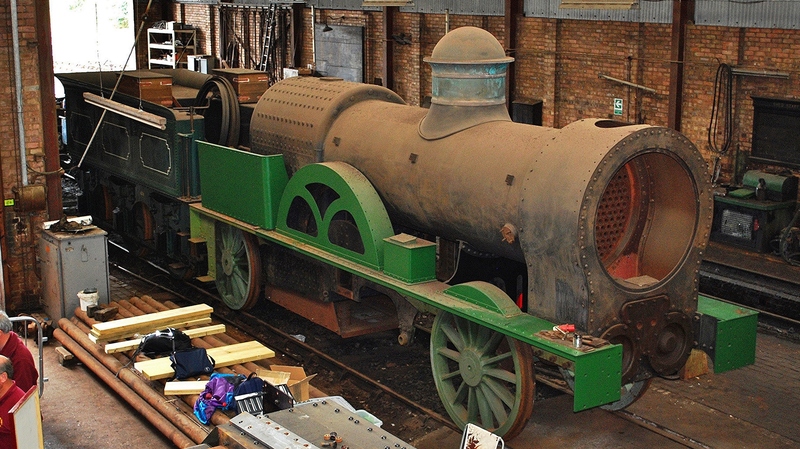 As we have previously observed, there are mixed messages on this project’s website about whether this is to be a static replica or working locomotive. Work so far has been on essentially cosmetic metal-shaping, with apparently none of the demanding engineering or design work that is needed to produce a working steam engine. It therefore seems to fall outside the scope of this site. In fairness, the North British Locomotive Preservation Group’s main aim is to save North British locomotives from scrap abroad, and it has done this with some success. There is clearly some meaningful engineering thought going on here, and the idea of building a new K3 has been transformed into a new design dubbed a K6. However, the group has declared the task, “significantly more complex than we thought,” so the appearance of a working K6 locomotive by the stated completion period of 2025-8 still looks ambitious, being less than a decade for a brand new concept, from a group without a track record of constructing new locomotives. But if there is meaningful progress to report, New Build Steam will of course report it. 6004 Princess Louise (Claughton 4-6-0). Finally, for anyone wondering why some projects might seem to have been omitted from the above, a reminder of this site’s scope: it doesn’t cover narrow gauge (for which ‘new build’ is not a meaningful distinction as it is in standard gauge), overseas projects or diesels – although significant developments in those fields will continue to be given the occasional honourable mention in news round-ups. I just love your site – it’s the best way of keeping up to date with so many projects. I feel it is important to differentiate between ‘professional’ and ‘amateur’ builds. The A1 Trust is run on business lines (as your interview with Mark Allott shows) while the majority are very much ‘hobby’ builds. The latter are so very British, a group of enthusiasts getting together once a week with much fun and cameraderie, tea and biscuits and no real sense of urgency. I love the latter as a way of life but if you want to see the end result the former is the way to go. But without the fun. Why shouldn’t an accountant do something totally different on his day off? Having said that, I take my hat off to ALL the enthusiasts who are painstakingly completing what is a monumental feat of engineering. Interesting comment, John – thanks for contributing. I’m not sure I think the distinction is very clear-cut, however – if it exists at all. Which projects would you put into which group? The A1SLT is a charity, not a business. Undeniably it sources a lot of its engineering work commercially, but the same is true of many of the slower-progressing projects, such as the Clan Pacific and (I believe) Night Owl. There are certainly groups where the work is being done in-house by volunteers (the Brighton Atlantic, the County 4-6-0, the Saint), but there’s a big spread among those projects in terms of rate of progress, and often they are supported by a ‘parent’ railway or engineering works. I suspect some projects may appear to have different forms from others because of their success at progressing their work quickly (or lack of it), not the other way round! If there are meaningful structural differences to be found, they probably relate primarily to the involvement of a ‘parent’ engineering centre of some kind, but some projects with that structure are undeniably heavy users of in-house volunteer labour, and the rate of progress among them is very variable. Thank you for such an informative and thoughtful article. The introduction reviewing the new build scene and articulating why there can be so many delays in a new builds (and restorations) was very helpful for someone like me, who has not been closely involved in a new build, particularly the comments on project management. Thanks Peter, glad you found it helpful! I have no problem in this being only about standard gauge, but I would like some understanding of why you say that for narrow gauge ‘new build’ is not a meaningful distinction as it is in standard gauge. Hi John – it’s discussed on the ‘About this site’ and ‘What is new build steam?’ pages. In short, new narrow gauge locomotives have been under construction on quite a regular basis for over half a century now, and that period overlaps with the time when they were still also manufactured in Britain on an industrial basis. You can’t say any of that for standard gauge. I am not here to criticise the site and the work you put into it. Well done. Thanks John. The point about museum replicas is also covered under ‘About this site’, which I see is a page you visited today! As you would have noticed via our website ahead of publishing your update of GER 789, our frameplates and motion bracket are currently being machined byTM Engineering ahead of their pending assembly at Tyseley. 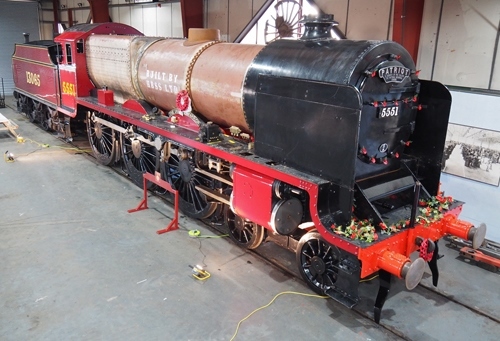 All the newbuilds that are making good progress have commonality; they have their own workshops eg Sheffield Park and Darlington whereas we are reliant upon Tyseley creating a slot to accommodate GER 789’s frames. Thanks Steve – I think you’re right that the projects that have got furthest clearly all have a ‘base’, though not necessarily always ‘their own’ (eg Llangollen and SVR have multiple restoration, overhaul and new build projects in their works all at once). The discussion in the article gets into that in a bit more detail. Interesting article. Not a criticism of the project but I recall reading about the GWS earmarking “Maindy Hall” for conversion to a “Saint” in a “Railway Modeller” in the ’70’s when I was still at secondary school and I am 60 in March! I will be delighted to hopefully see it in the flesh so to speak in the Spring, also hopefully my “local” replica – Beachy Head – in the foreseeable future. I hold my hand up to say that, other than donating some books to the latter project, I have done little or nothing in financial or physical terms to any of the “new builds” but wish them all well. It is sad to think that many of those who “kicked off” the projects may not be around to see them successfully concluded. I had to smile at the sign displayed on 61662 at Mizens. ” Do not climb onto the locomotive “lt’s just a cab and bits of metal in the shape of a locomotive stacked up on wooden paletts.